Since the company was established around 1837, John Deere Machinery Parts have long been collectors items. 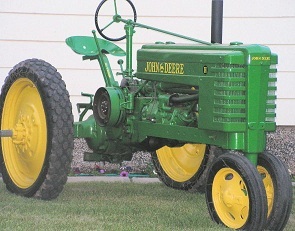 There are a significant amount of John Deere tractors, John Deere parts and other John Deere memorabilia that are kept as collectibles and the demand for these items are as high as ever. Models of antique and vintage tractors are highly sought after by avid collectors.